For thousands of years, Native Americans living in the Sierra Nevada routinely set small, controlled fires to manage the forest, increase visibility and herd wild game. Is it time to embrace the old strategy anew? Should forest managers turn back to those techniques, ramping up prescribed burns to decrease forest density and the threat of catastrophic wildfires? New research by Anna Klimaszewski-Patterson, a Sacramento State assistant professor of geography, suggests the answer is yes. 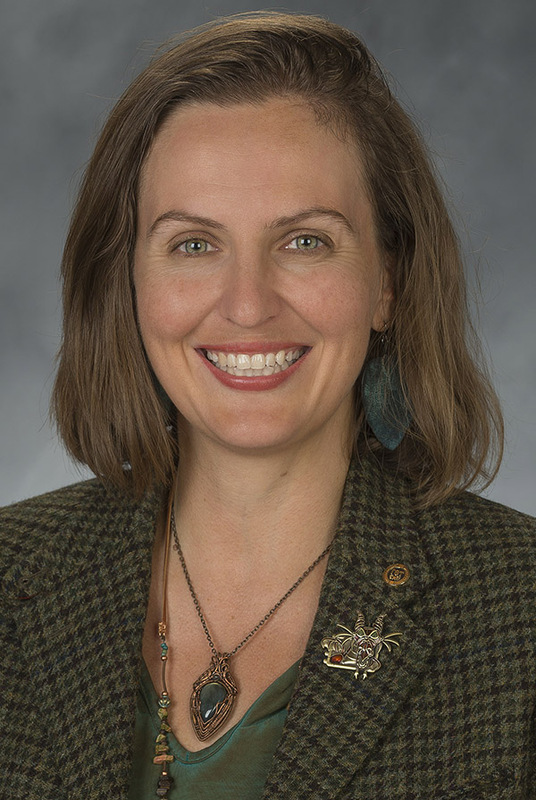 “We should be taking Native American practices into account,” said Klimaszewski-Patterson, whose dissertation on the subject recently won the prestigious J. Warren Nystrom award from the American Association of Geographers (AAG). Using computer models and pollen and charcoal records to track changes in the forest over time, she has found that forest composition dating back 1,500 years likely was the result of deliberate burning by Native Americans, rather than natural phenomena such as lightning strikes. Those forests featured wide open spaces, resembling parks. Today, the same landscape is thick, dense and prone to catastrophic fires that have caused widespread devastation in California in recent years. Wildfires burned 875,000 acres in the state last year. For decades, federal forest managers have aggressively used firefighting aircraft, fire lines and other tactics to extinguish wildfires and protect the natural landscape. That approach has resulted in too many trees, which have been weakened by drought. As a result, forests have turned into tinderboxes. Land managers around the country are increasing the use of prescribed fires to tame the forest. But the approach is controversial, particularly in California, said Klimaszewski-Patterson. Smoke and flames are “scary” for members of the public, she said, and can drastically affect air quality. Timing of prescribed burns is critical; high winds during certain times of the year can turn deliberate burns into runaway disasters. But the Sac State geography professor’s research suggests that, done purposefully and carefully, fighting fire with fire makes sense, she said.